Based in Aligarh, Uttar Pradesh, India, we are a known manufacturer, exporter, and supplier of Brass Elephant Pen Holder. 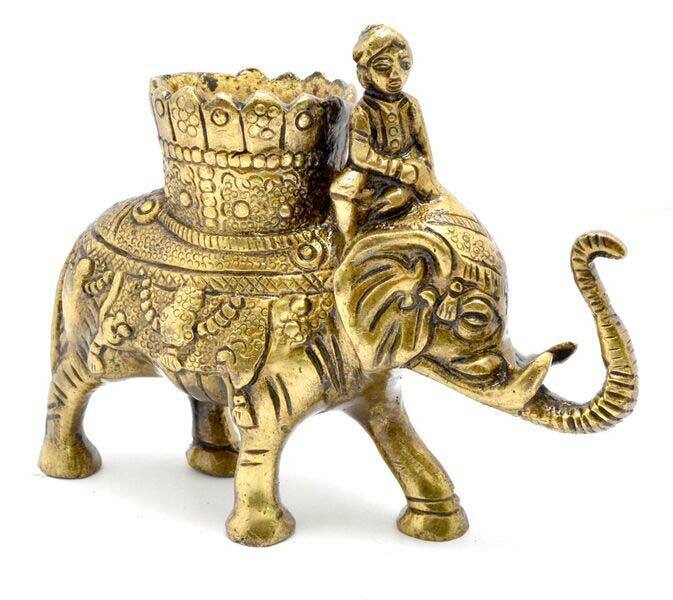 We specialize in catering to the bulk orders of Brass Elephant Pen Holder with utmost ease. We are very popular among our customers for our products durability along with exquisite design and beauty. Our product will be available in perfect dimensions and weight. Safe and timely delivery of the same is ensured with our advance transit facilities. Moreover, these statues are available at affordable prices to break all budget constraints.